Got an urgent air conditioning or commercial boiler repair in Reading? Call us now and we will be there in a flash. We have fully qualified air conditioning, commercial gas and electrical engineers. Need Servicing of your Air Conditioning or Commercial Boiler? We provide statutory air conditioning, boiler servicing, gas certification, ventilation and Legionella management in Reading. Web based maintenance log. Getting air conditioning in Reading has never been easier. Whether you need complete air conditioning installations or just repairs, we are Reading's local service provider. Air Intelligence is Readings leading computer room design and construction company. However big or small, and regardless of your building limitations, our specialist design team will find the right solution for your computer room. This will incorporate high specification cooling equipment with latest energy saving features, fire protection systems and power management. All this at very competitive prices and installed to meet or surpass manufacturers’ recommended installation requirements. Warehouse heating systems are essential for maintaining a suitable environment for staff, machinery and stock. A variety of solutions are available ranging from basic floor standing heaters to ducted filtered solutions. 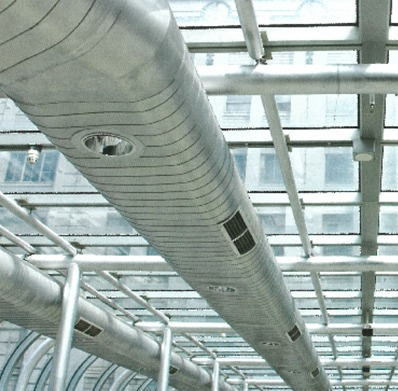 For every type of commercial building, however large or small, Air Intelligence offer reliable air handling solutions to suit all requirements. 25 years designing and installing all sizes of air conditioning units in Reading, including wall mount, cassette type, floor mount, ducted type from top manufactures such as Daikin, Fujitsu, Toshiba, Mitsubishi Electric and Mitsubishi Heavy Industries. Choices: Even with our vast experience, there are no two Reading buildings the same. So our air conditioning systems are always matched to the specific requirements of every individual premises. Free quotations will be prompt with no obligation and no sales pressure. We will keep quotations simple and jargon free. We will find the right air conditioning units or HVAC system to meet your budget and present an easy to understand quote. F-Gas: All our installers are F-GAS certified, which is now a prerequisite for all air conditioning engineers working with refrigerant gases. 3 Years: When your air conditioning installation has been completed, we offer preventative maintenance agreements and full after sales support backed by up to 5 year warranties. Air conditioning within Reading’s hotels and gyms in has become essential part of ensuring guests have a comfortable experience. At Air Intelligence, we understand the complex air conditioning requirements that are unique to the hospitality industry. over estimating the redundancy needed for high season will unnecessarily drive up installation costs, so a balance needs to be struck. This is where we can help, right from heat load estimation to design and selection of equipment, laying them out, testing and commissioning, it is done in the right way meeting the highest standards in the industry. 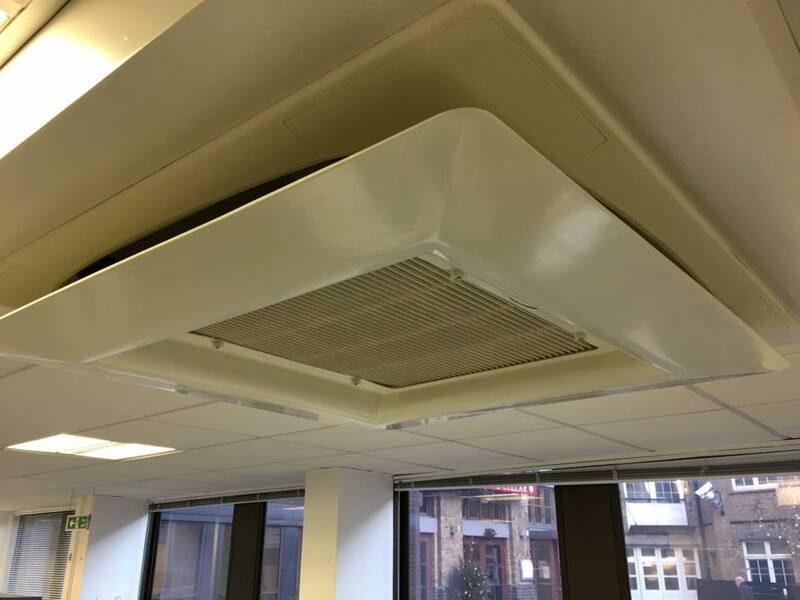 Air conditioning within dentist and doctors surgeries has became increasingly common in Reading. Visiting a dental or medical surgery is, for most people, a stressful experience. So it is in best interests of your patients to make the visit as comfortable and stress free as possible. However, the major drive toward air conditioning within surgeries is that dentists and doctors, their staff and patients are more and more concerned about the transmission of infection than ever before. In medical and dental practices diseases can be transmitted from patient to patient, patient to dental healthcare workers and from healthcare workers to patients. Controlling bacterial contamination through proper air filtration has long been considered the most essential component in the infection control process and vital to patient safety. Air conditioning in Reading’s shops, restaurants and bars is no longer an optional extra. When first entering a shop or restaurant, its funny how you always notice when it’s too hot, too cold or if there is a distinct odour – is that really the first impression you want to give your precious customers. Keeping customers comfortable is a key driver to increased profitability. Air conditioning systems in shops and restaurants create a comfortable fresh environment where customers will enjoy their visit, they will stay longer, browse more and therefore an increased likelihood of purchasing more products and services. With air conditioning in shops or restaurants wave goodbye to odours, smelly or hot changing rooms and cold drafts. Let your customer notice and enjoy your products or service, leading to repeat business and encouraging others to do the same through their recommendations. Our shop and restaurant air conditioning systems can provide hot and cold air and are suitable for all types of premises from corner shops and restaurants to large retail outlets. They can embed filters to remove odours and in large installations, correct placement of outlets will prevent hot and cold spots. Our air conditioning will be unobtrusive and responsive to quickly changing temperatures. It will also be easy to install and flexible enough to accommodate future layout changes to your premises. At Air Intelligence we know that your budget is tight and air conditioning needs to be installed quickly and even out of hours, to avoid disruption to customers and lose of earnings. 25 years designing and installing all types of air conditioning systems, including wall mount, cassette type, floor mount, ducted type from top manufactures such as Daikin, Fujitsu, Toshiba, Mitsubishi Electric and Mitsubishi Heavy Industries. Free quotations will be prompt with no obligation and no sales pressure. We will keep quotations simple and jargon free. We will find the right air conditioning units or HVAC system to meet your budget and present an easy to understand quote. 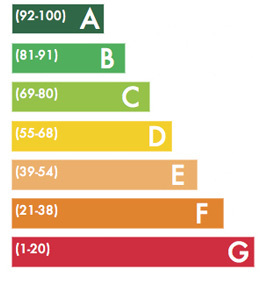 F-Gas: All our air conditioning installers are F-GAS certified, which is now a prerequisite for all air conditioning engineers working with refrigerant gases.